In all seriousness, if you are an operations, IT or marketing professional and considering the needs of your business’s website, there are a handful of terms that you probably hear quite a bit. These terms relate to systems on the back-end of an effective business website that impact business development, delivery and reporting. So before heading to that first website planning meeting, here is an overview of the terms and tools that will need to work in synch. ERP is the big one. It’s the business-management software that pulls everything together–planning, the manufacturing process, inventory management, shipping, sales, payroll, payables, you name it. What is the benefit of having a monster software like this? Efficiency. ERP should allow your business to make more informed decisions, reduce the number of errors and enhance transparency throughout the organization. If your website is traditional, it’s possible that your ERP and website can each stand alone. On the other hand, if you have an eCommerce business - integration is key. Sure, you can manually enter online sales into your ERP or another back end system after the fact. But leveraging your ERPs Application Programming Interface (API) is really the way to go. This allows orders and inventory to pass seamlessly between the systems. Rather than be required to have your web developer make every change, a CMS puts the power to maintain your website’s content in your hands. Usually through a simple web interface, the CMS allows you to add, update and delete the copy on your site in a safe and secure fashion. CMSs come in all shapes and sizes from the very popular, free (and hack-prone) WordPress, to enterprise-level systems like SiteCore. The choices are myriad, there’s no one size fits all. The team responsible for making updates to your website surely has an opinion about the CMS. They may find it difficult to navigate, or they may now be so familiar with the tool, that a change would be unwelcome. If your current website does not have a CMS in place, this is a choice to lean on your developer to help with. We use MODX and WordPress quite a bit here at ByteJam. Chances are your developer has one or more favorites and can explain the pros and cons of each. Nowadays, business-to-consumer and business-to-business companies alike are increasingly turning to online solutions for direct sales of their services and products. Retailers, manufacturers, wholesalers and materials suppliers are augmenting their sales, and expanding their customer base with comprehensive online purchasing experiences. If this is the case for your business, your website’s CMS will also serve as an eCommerce platform. You have two options for this platform. If your sales process is complex, you may want to consider a fully custom-built web solution. For other businesses, there are packages available that provide a vast amount of canned functionality, while still allowing you to have a custom online experience that matches up with your sales process. Software and Software- As-A-Service (SAAS) providers such as Shopify, Magento, Volusion, and Bigcommerce all offer a safe and secure online sales environment that meets the Payment Card Industry Data Security Standard (PCI DSS). They also offer flexible CMS and comprehensive APIs for connectivity and integration. This is a topic we could ad nauseum...and have. 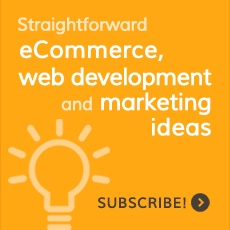 If you would like to read more, our post eCommerce Web Development: Selecting a Platform is a good place to start. While ERP manages internal data, CRM tools are largely used by customer support, marketing and sales teams to keep track of customers, prospects and leads. Big players in this market include Salesforce and NetSuite. There are many options to choose from at a range of costs. The choice can be overwhelming. Check out Zapier’s Ultimate Guide to CRM Apps to get all the ins and outs. Marketing automation is used for each stage of the sales funnel. These platforms marry with CRM software allowing you to segment your website visitors, track their activity on your website, and nurture those leads with targeted email outreach. Well known providers include Hubspot, Marketo and Act-On. Because MAPs and CRM are so closely tied, companies like Hubspot now have CRM solutions that are well suited for small businesses. If your business does not have marketing automation or CRM in place, selecting a CRM is a good place to start. Depending on the type and size of your business, there are countless other digital tools to consider to streamline your business operations and grow revenue. Especially if your business is not yet using an ERP. These tools could include fulfillment programs, employee portals, file management systems…the list goes on and on. It’s possible that you have everything you need, more than you need, or that the tools you have aren’t sized for your business needs. Lastly, don’t forget to consider the costs for digital subscriptions that may be eliminated by a custom built solution that would better suit your business needs, or shall I say...align with your KPIs.